Sometimes while making a photo ready for a social network or family album, you come to notice that the background of the image you are working on (be it a portrait, a picture of an object for sale or a macro one) ruins the beauty of your shot. That's when you need to know how to change the background of a photo. This trick is simple enough to perform when you are using some easy photo editor like Home Photo Studio. Play this video tutorial to see how easily you can change the background of your pictures in Home Photo Studio. The steps below will explain how to achieve a perfect image in less than 5 minutes. Install Home Photo Studio on your PC following the setup wizard tips, and then select your photo for editing. The main window of the software shows a toolbar in the upper part. Click on Effects and choose the Change Background option. A new window will appear where you can zoom your picture to the size that will be the most comfortable for further editing. 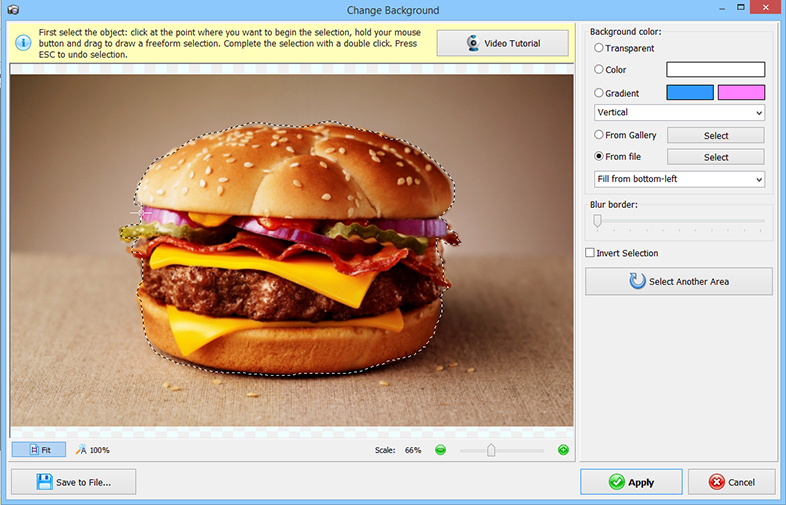 Now you need to select the object or person you want to keep in the image unchanged. To do that, click with your left mouse button on the starting point of your selection and drag the cursor to the ending point. Double-click to loop the area of the selection. Note that the objects left out of the selected area will be replaced with the new background. Home Photo Studio lets you make the border less or more blurred in case you need a sharp contrast of the selection against the new background or if you wish to "merge" them softly. 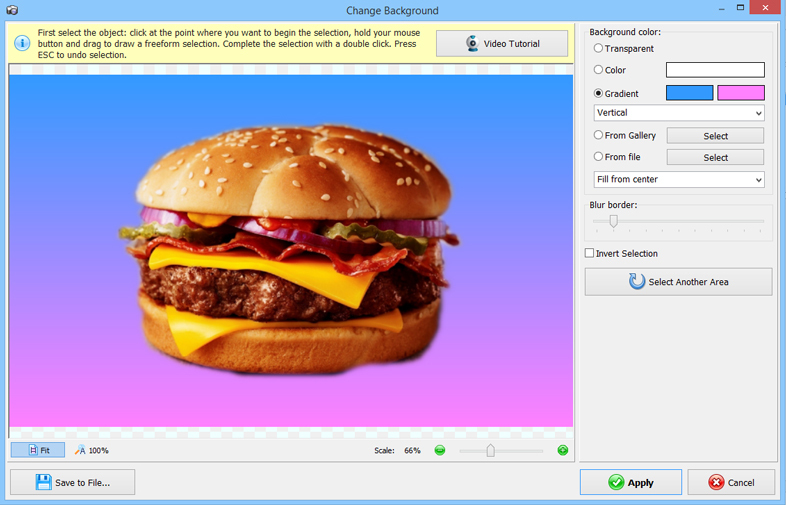 The software offers several options for you to try: you can fill the background with a solid color, a gradient, choose an image from the gallery, and select your own picture from PC. Or you can leave it transparent if you need to use it as clipart (don't forget to save it as PNG then). Apply the changes to continue working on the picture or save it directly from the Change Background tool window to the image file choosing the type you need like jpeg, png or others. That is that! When asking yourself how to change the background of a photo, have you ever thought that it is just a matter of three steps? 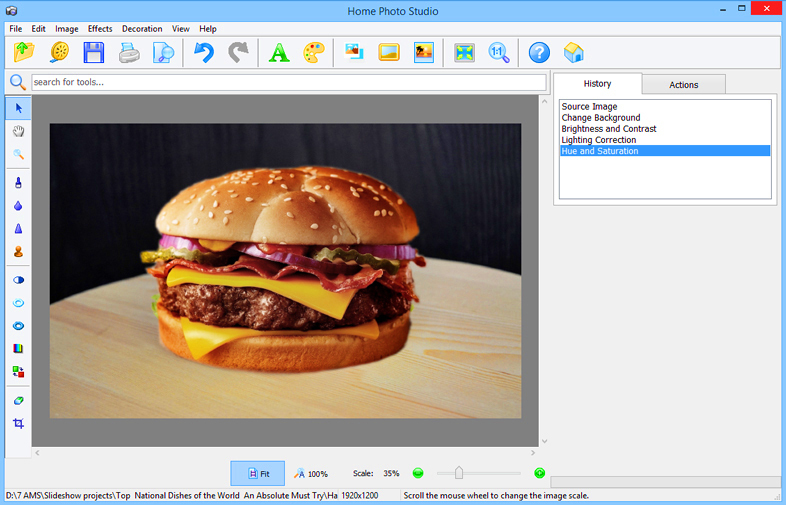 With Home Photo Studio, you can even remove unwanted objects from pictures in a couple of mouse clicks. Get the software and see for yourself how to change the background of a photo with no effort at all!